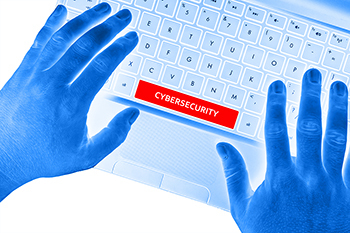 Cybersecurity - Daily Tech Update – April 6, 2018 | Blue Mountain Data Systems Inc.
RANSOMWARE ATTACK: Three Cybersecurity Lessons From Atlanta. On March 22, Atlanta’s city government was hit with a ransomware attack, with hackers demanding six bitcoins in exchange for releasing the data. At the time of writing this, that’s a demand for roughly $41,880. As a result of the attack, many systems in Atlanta are offline. Some of the city’s services have been forced to return to the “pen and paper” method of operation. This episode highlights the growing dependence of state and local governments on information technology systems and emphasizes how their cybersecurity (or more accurately, insecurity) can impact the broader national security issues. Here are three quick takeaways from this episode, each likely worthy of much more in-depth development. Read more. CAREERS: McAfee Report Suggests Gamers Could Thrive in a Cybersecurity Career. Cybersecurity firms are feeling the pressure from having to deal with increasingly complex and voluminous cyberattacks. Compounding the issue is that many senior security managers feel it is difficult to attract the kind of talent needed to deal with emerging threats. The solution might be to focus on gamers, according to a new report by McAfee. Read more.